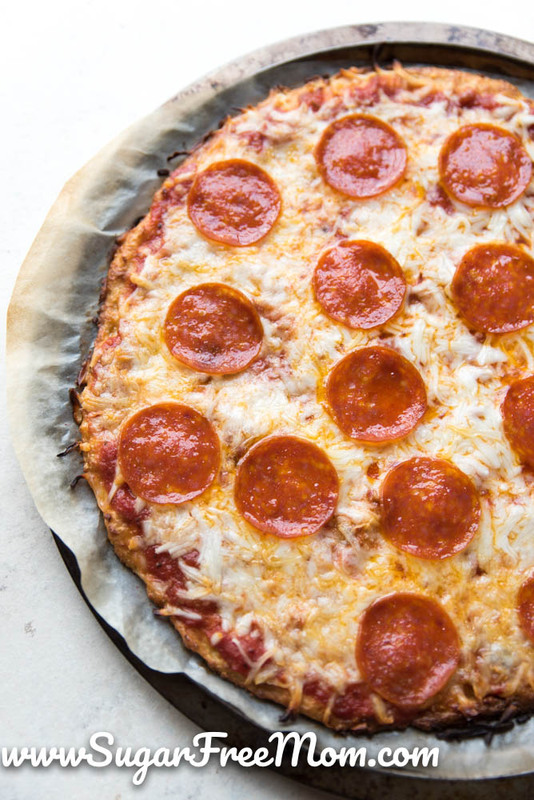 This Amazing Thin Crust Cauliflower Pizza needs just 5 ingredients and it’s low carb, gluten free, nut free, keto and I promise you, does not even taste like cauliflower! 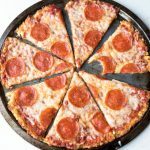 I’m sure some of you have attempted a cauliflower pizza before in hopes it would satisfy that carb loving craving. And I bet you’ve been disappointed. I’ve even been disappointed in recipes I’ve tried. All of them seemed to fail in the ability to be able to pick it up like a typical pizza. 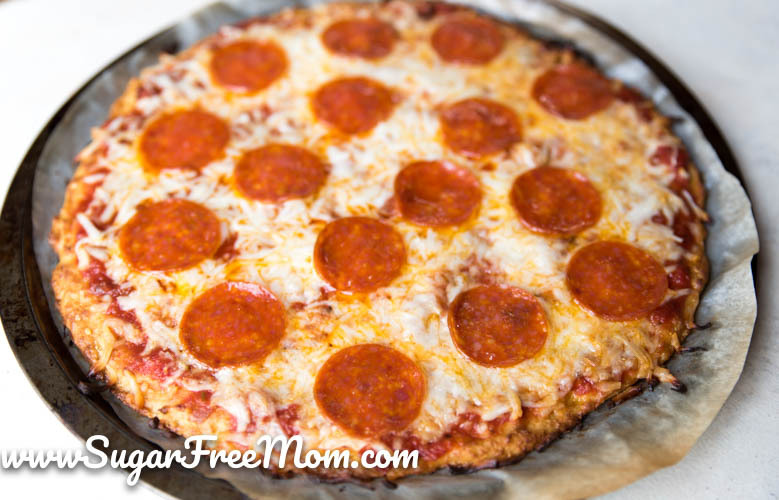 I’m here today sharing my take on the cauliflower pizza that truly curbs that greasy pizza craving you so desire and it does not even have a hint of cauliflower taste! Doesn’t it look fabulous? All the makings of a really good pizza and it’s just 3 net carbs for 2 slices for this crust and you can REALLY pick it up, for real!!! When I’ve made cauliflower pizza in the past, most recipes always seem to include mozzarella cheese. 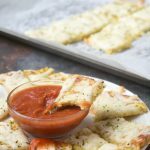 I have these tasty Cheesy Cauliflower “Bread Sticks” that are use mozzarella, but weren’t strong enough in my opinion to use as a pizza in order to add toppings other than cheese. So I decided a change in the cheese was in order. If you think about it, mozzarella is a moisture rich cheese and that is why any cauliflower pizzas that include it are never going to have that ability to actually pick up with your hands and eat it. I decided a hard dry cheese was needed to create that texture I so desired, that ability to truly eat this pizza with your hands, not a fork and knife. Parmesan cheese was my choice! After it cooks if you want to firm it up even more before diving in, you can cut it and place the pizza slices on a wire rack which will help them not to get soggy on the baking pan. Is it a perfect resemblance to a thin crust carb laden dough? No of course not. But it is a pizza you don’t need to eat with a fork and knife. It is low carb, keto and gluten free and it does curb that craving. It passed the test with my picky children and hubby and the teenager who hates anything cauliflower ate a piece. You can buy a small head of cauliflower to rice it yourself in a food processor. A small head is about 4 cups florets, once riced if you have more than 10 ounces in weight, do not include. Make sure to weight out the 10 ounces on a scale. The raw cauliflower does not need to be precooked. You could also just buy cauliflower rice in the frozen section in Walmart and other supermarkets. My frozen cauli rice was a perfect 10 ounce bag which will be a time saver in the making of this pizza. I recommend buying parmesan and grating it yourself. Nutrition info does not include the marinara sauce, cheese and pepperoni, it’s for the crust alone. 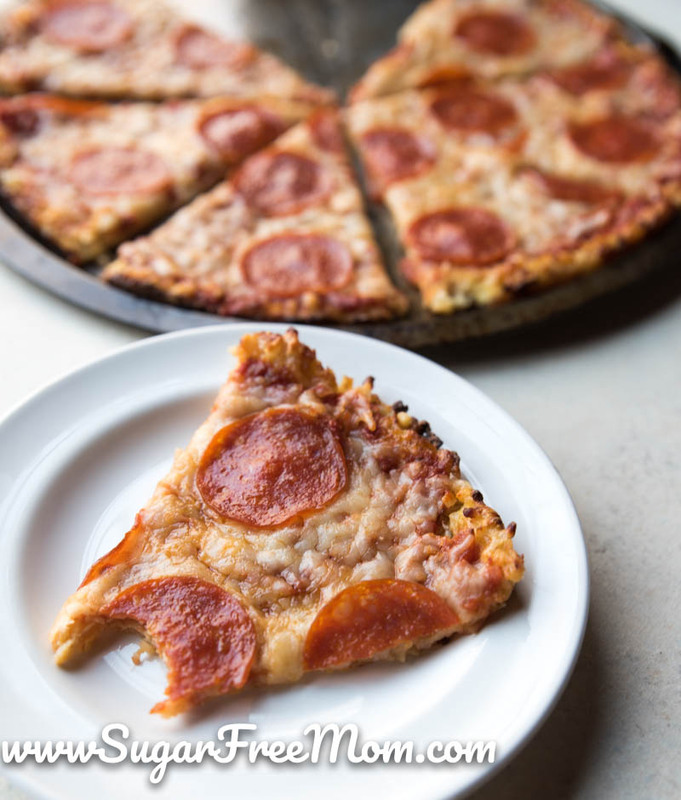 My Quick Marinara sauce is fabulous for this pizza! I used a 12 inch in diameter round pizza pan. If you love meals like this for yourself and family, you might be interested in my meal planning membership. 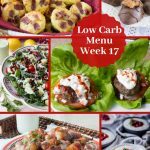 Weekly low carb keto dinner meal plan sent to your inbox every Friday with shopping list. The best part about my meal planning feature is that if you aren’t interested in one of the dinner meals you can swap it out for something else! You can even change serving sizes and the shopping list will adjust! It pretty amazing software and I hope you’ll take advantage of it. You can have a sustainable low carb/keto lifestyle when you’re well prepared and planning meals is the key! LEARN MORE TODAY! Place cauliflower in a food processor and pulse until crumbly and rice like. Heat the cauliflower rice in a dry skillet over medium high heat, stirring often to remove as much moisture as possible, about 10 minutes. Once it looks somewhat dry, add parmesan cheese and seasonings. Continue to cook on medium heat until the parmesan is melted. Remove from the heat and stir in the egg. Use parchment on a 12 inch round pizza pan and spray with olive oil cooking spray. Spread out the "dough" and flatten as best you can. use another piece of parchment paper on top if it's too sticky for your hands to spread and make the edges slightly higher to form a crust. Bake for 20 minutes. Add your favorite toppings and bake another 10 minutes. Cut into 8 large slices and serve! 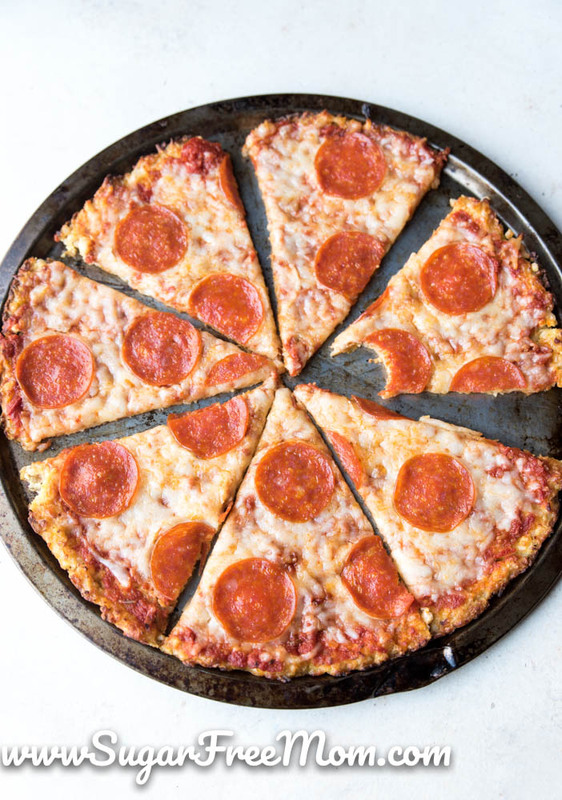 Nutrition Information is for the cauliflower crust, not including toppings. Wow, looks delicious. I’ll be making this on Friday. I heard a helpful tip for making riced cauliflower: Put fresh cauliflower pieces into a blender jar and add lots of water, to an inche above the cauli pieces. Pulse a few seconds until it resembles rice, then strain out the water. If also using the stem, do it separately as the stem parts take more pulsing. Thanks for the recipe! I really want to try this… quick question – if using frozen riced cauliflower do you thaw it first or just cook from frozen? Nope I’ve used it straight from the freezer when I tried it, and let it cook on the skillet for about 10 minutes until it looks less wet. Excellent thanks. This was going to be my question! Any suggestions on what to use instead of Parmesan cheeses for a dairy free option? I wonder if nutritional yeast might work? Also, using parmesan cheese makes it Non keto. 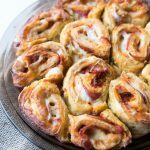 You can’t call it a keto recipe since keto is “cheese free”. I’m not sure where you’ve gotten info on keto but keto is definitely NOT dairy free unless one chooses to be as a personal choice. Absolutely correct. That person must be confusing paleo with keto, which have many similarities, but no dairy in paleo but allowed in keto. Yes. You can. Not all Kind but there are a lot Of choices! 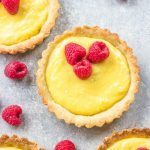 Keto is most definitely NOT dairy free! Who told you such a thing?? Be nice. No need to yell 😊. People are learning all the time. You can use 1/2 cup cornmeal like I just did. It’s in the oven, so excited! 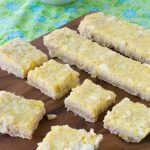 Corn meal in addition to the recipe or replacing something in the recipe? Wjat would you suggest when using fresh, not cooked cauliflower? Hi Laura, not sure I understand your question since I am using fresh non cooked cauliflower in this recipe. Thanks for the recipe! I made it today and enjoyed the flavor. I didn’t use parchment b/c I have a cast iron pizza pan. My pizza turned out ‘floppy’ perhaps b/c of the pan. I’ll try it again with the parchment and perhaps longer in the oven. Any tips on making it ‘non-floppy’ would be appreciated! The pan has to be preheated along with the oven so it is already hot when you place the crust on. Should come out crispy. Agree! This recipe wasn’t good. Crispy on the outside and soggy in the center. Had to eat it with a knife and fork, I like to pick my pizza up by the hands. Probably need some sort of flour perhaps almond flour? Also one bag of Couliflower rice made a very small personal size pizza. How much Parmesan by weight rather than volume? Different graters can produce very different volumes for the same weight. I loved this! I hate trying to squeeze the cauliflower through a towel … no need with this recipe! Thank you so much! PS First time the crust stuck togather too! I made this to spec and unfortunately I wasn’t able to pick it up and eat it. I had to use a fork and knife. Any suggestions? I found leaving it whole on a rack to cool down left mw with a crispy crust pizza. The flavor was great, but the crust remained mushy despite cooking it for an additional 5 minutes. Could it have been due to using dairy-free parmesan cheese? Maybe if you bake it then let it cool, refrigerate and then when ready to have it for dinner reheat about 5 minutes, add toppings and cook to melt cheese on top. Hello, I was just reading recipes for cauliflower pizza dough and whoever it was talking about it says she cooked the crust as in the recipe, about 20 minutes, but then flipped it over for another ten minutes in the oven…exact crispiness, I hear! I’m going to try this today for our dinner. A little confused with step 6. 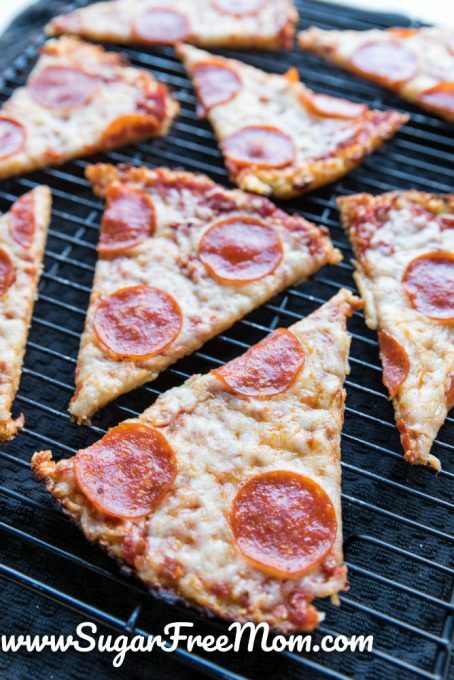 What I interpreted it as, was to put parchment on pizza pan, oil it, spread the mixture on top, and put another piece of parchment paper on top to flatten it, then remove the top parchment paper and then bake?? I had issues with the crust sticking to the parchment paper even after baking. Maybe because we made it too thin? I’m not really sure. I’d like to try this again, any recommendations would help! Maybe you just need to grease it a whole lot more. It is sticky and you may need to peel it off the parchment or use a spatula under it to really get it off the parchment. If you allow it cool a bit before trying to remove it from the parchment that will help too. I added the egg while the mixture was in the skillet and I think that’s why it took longer to stick together and it came out a bit too salty for my taste. It was my first time making this but overall I think it’s ok. I did burn it a little lol but i like it extra crispy. I think next time i’m going to add half a cup of parmesan instead next time. 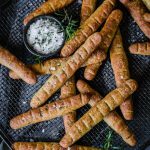 What do I need to do differently to have a crispy crust? I had to eat mine with a fork. I just cooked it in my non-stick skillet in the oven. Made this tonight. Very good. The bad…I aren’t the whole thing. I have been making cauliflower pizza crust for years. 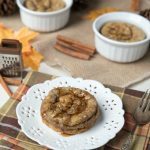 This is by far the easiest and best tasting recipe I have ever tried. We’ had it twice this week and I plan to make some for the freezer. Thank you! Trying this recipe tonight! Do you know if “dough” can be frozen and eaten later? Perhaps half-cooked, like other pizza doughs? Thanks in advance! I’m very curious to know this as well. I’m facing the possibility of hospitalization for bed rest and looking for keto recipes that I can make now for my husband to get him through the month I’ll be out of comission if it happens. Keto has basically cured his type 2 diabetes and I’d hate to see him get unwell again. Yes he’s a grownup and can theoretically cook for himself … But realistically he’d be back to Domino’s every night within a week like when he was a bachelor lol. I love this pizza! I’ve made it like a dozen times. I add a fourth of teaspoon of crushed red pepper flakes to it. This is such a great recipe especially since it does not use creamed cheese like most do! But since I’ve made the original recipe so many times I’ve tweeked it a bit. After you cook the riced cauliflower to evaporate the water let it cool and squeeze it in a cheese cloth. You can’t imagine how much water it will release which results in a crispier crust. I also add additional seasonings to the crust such as garlic powder and red pepper flakes to give the crust more seasoning. Also if you pre heat a pizza stone in the oven and transfer the pizza on it for step 2 it also helps crisp the crust. 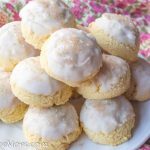 Love this recipe its a keeper! I made this tonight and it was soooooo delicious we also had to eat it with a fork but we loved it so much. 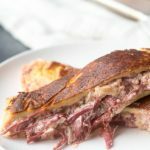 We just started the keto diet and I hope we can find more recipes like this. Thank you so much for posting this. Made this last night and it was amazing. The whole family loves it. Thanks you! Can’t wait to try this. 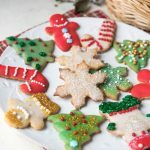 My 6year old daughter has type 1 diabetes and low carb foods are better for her. Regular pizza has sooo many carbs and makes her sugar sky high so I’m really excited to try your recipe. Thank you so much! PHENOMENAL! I cooked up some tomatoes, chicken, then spinach, and used basil, garlic pepper, and onions along with parmesan to top it off. Drizzled avocado oil over that then stuck it back in the oven to melt for 8 mins! I ate 2/3 of the pizza, and I have no shame because it is delicious and within my macros. I’m a huge fan!! Okay so I tried this crust not so much for pizza but for a crunchy “bread “ to dip in marinara sauce and it worked! I just baked it with drizzled olive oil and a little more Parmesan sprinkled on top along with some chopped basil. And cut it in triangles. I am trying to find appetizers that I can enjoy super bowl Sunday and this will work! Thanks for the recipe. I have this in the oven now. I noticed it was more dough like before I added the egg. Hope it comes out ok. How big is this pizza supposed to be? Mine looks like a small personal size? Under Brenda’s Notes: The pan is 12 inch round. You crave carbs because you need carbs. Healthy carbohydrates are an essential part of a healthy diet and trying to go without them will give you cravings because your body is telling you what it needs. The key is to properly balance each meal, with the correct amount of both carbs and protein. Keto diets, although useful short term weight loss tools, are very unhealthy in the long term and can cause serious health issues, such as kidney failure. That being said, thank you for the recipe. I am always looking for creative ways to cook veggies. The cost of the Parmesan cheese is prohibitive but I’m sure I can modify it to work with more budget friendly ingredients.